There is a fundamental difference between actually performing bilateral breathing and the ability to perform bilateral breathing in freestyle. Many beginner swimmers get confused with the terms they read on miscellaneous swimming blogs and learn to swim sites. They often read about bilateral breathing and automatically assume that they have to breathe to both sides all the time. By all the time, I mean breathing every 3rd arm stroke, so the rhythm would be: breathe to the right, stroke, stroke, stroke, breathe to the left. Then they are all confused why swimming has suddenly become very hard for them and they are breathless when they reach the end of the swimming pool. Finally, they resort to reading more about bilateral breathing and wondering how come it is not helping their swimming. It actually made their swimming harder. If you fall into this category, read carefully the following advice. Do you have the ability to breathe bilaterally? The key concept to understand is that bilateral breathing is just a term used to describe a motion in swimming where a swimmer breathes to both sides. That does not necessarily mean that to swim properly you need to rhythmically breathe to both sides though. What it means that you should know how to breathe to both sides aka bilaterally, but there is time and place where the actual rhythmical bilateral breathing is needed. Like it or not, our bodies have two sides and if we heavily strengthen one side by repeating a certain activity our bodies will evolve, so to say, and adapt to that particular activity. The adaptation usually comes in terms of strengthening or stretching muscles. Unfortunately, the majority of us are either right handed or left handed and only few are ambidextrous. My guess is that if you do a bicep flex to show off your muscles, your leading arm will probably have a bigger bulge. Or next time you are in your bathroom, try cleaning your teeth with your weaker hand. You will see how difficult it is. Swimming on the other hand, requires a certain level of ambidexterity and here we are back at the bilateral breathing problem. 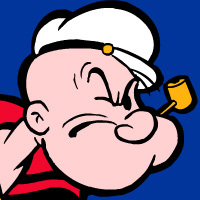 If a swimmer only knows how to breathe to one side, it could create a whole lot of problems such as, not having the same body roll to both sides, not swimming in a straight direction in open water, imbalance in important neck muscles or you might permanently end up with a Popeye like mouth grimace :) (and many more). So, learning to breathe to both sides has also a health benefit as well as swimming benefit. Also, imagine you are swimming in a race or in the ocean and you only can breathe to your right side. Now, what if there is a swimmer with very strong and splashy kick to your right side or there are huge waves coming from the right. What will you do then? Take the beating and keep breathing water instead of air and potentially choke your way back to the finish line or to the beach? If you can't breathe to the other side, then that is probably what you will do, but if you can, then you just switch your breathing to the left and you are set and water choke free. So as you can see, breathing bilaterally has a lot of benefits, but back to the initial point I was making. Bilateral breathing does not only refer to breathing rhythmically to both sides, it most importantly refers to the ability to breathe to both sides. You need to understand that your body needs oxygen. While you can strengthen your lungs and make your oxygen consumption more efficient, the more oxygen you have the better you can perform. Therefore, the more breaths you can take during your swim, be it 100 meters (yards) or 1500 meters (yards), the better off you are in terms of not feeling out of breath. Therefore, if you set yourself up to rhythmically breathe every 3rd stroke, which means you breathe once to the left and once to the right and so on, this means you are not getting oxygen for three strokes and this is where most beginner swimmers go wrong. Even though it is only 3 strokes between breaths and it might feel ok for the first length of the pool after a little while you start feeling the lack of oxygen. You might as well quit swimming and join the extreme apnea divers if you get high on lack of oxygen :). It would be much more beneficial if you breathe every other stroke, where you only have one stroke without breathing and you breathe only to one side at a time. Sounds much better doesn't it? You might now be wondering, well, how is that bilateral breathing if I only breathe to one side all the time? Easy answer. You will not breathe to one side all the time. You can try breathing to the left half the pool length and then breathing to the right the other half or 20 strokes to the left and 20 strokes to the right etc. This way you will make sure your body both gets enough oxygen and stays healthy. Note of warning though, the assumption I was making here is that you are able to breathe properly and every time you take your face out of the water to breathe you do not slow down. In other words, your breathing technique is not causing drag problems in your swimming. If you feel that this breathing every stroke is not for you, why not change it a little and breathe two times to the right and then two times to the left with three strokes between. This is still much much better in terms of oxygen intake than breathing every third stroke at all times. If you think you have the freestyle bilateral breathing ability down to 100% perfection, you can test your breathing skills by breathing every stroke. This means you breathe with every arm stroke and maintain the true rhythm of bilateral breathing. In other words, the rhythm is breathe right, breathe left, breathe right, breathe left :). This is an advanced skill and you might feel quite dizzy if you try to do this for too long with too high a stroke rate frequency. However, it is a great test of how well and efficiently you can breathe without sacrificing your freestyle streamline. If you can do this well without zigzagging all over the place, it comes in extremely handy during your freestyle swimming races or swim workouts as you will get much more oxygen than anybody else. If you think I am crazy, think again. This is a true pro skill which is used by the best of the best in the world. interesting article! I've recently started trying this, but found it quite dizzying after the second lap. Better keep trying! @Daniel: Thanks for sharing your experience. Perhaps you should slow down a bit and lengthen your stroke so you don't get so dizzy. Also blowing bubbles into the water might help. WOAH. this explains the difference in thickness of neck ligament on the front of my neck when i turn to either side. when i turn my head to the right, that ligament feels obviously thicker than my other side because i always only breathe to the right. will work on balancing both sides out now. thanks for the article! @Sillious Williard - ouch, sounds painful. glad it was helpful and good luck. Really interesting article! I've been consistently practicing my freestyle with the intent on becoming equally balanced on both sides during rotation. My dominant side is my right. With bilateral breathing I've found that my once loping weaker left side now extends out further, my catch doesn't drop anymore causing drag and imbalance, and recovery now is quicker on the left side. Most importantly, my neck no longer becomes fatigued. The relaxation at the neck and head extends down to the shoulders so that recovery at every strokes becomes more efficient and quicker and a streamline position is maintained. 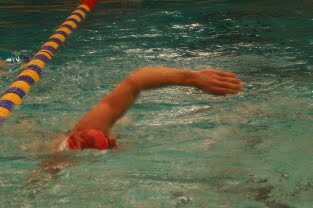 Breathing bilaterally with every stroke allows me to sight what's happening in other lanes and gives me the energy to really extend in sprints. A rhythm pattern is set when taking air on the right and exhaling on the left just at the surface, or vice versa. Again great article.